You are here: Home » Enterprise Content Management » ECM And DAM – Are They Better Together Or Should You Vote For Independence? ECM And DAM – Are They Better Together Or Should You Vote For Independence? In the UK this week, the news has been dominated by the forthcoming referendum on Scottish independence where people in Scotland get to decide if they wish to become a self-governing nation state or remain united with England, Wales and Northern Ireland. I gather from those who I talk to from other countries that it has recently become more of a newsworthy item where they are too, especially as the odds on it actually happening appear to have shortened quite a lot. While listening to the arguments for and against, I have been struck by the similarity of the debate between those who argue for an autonomous DAM as opposed to others who think you should throw your lot in with their centralised ECM solution. This point was another discussed at last month’s DAM Meetup in London (although not in the same context as I am using for this item). To get some disclaimers out of the way, while the arguments have comparable themes, deciding on the future of your nation state is clearly a decision of a far greater magnitude than some corporate IT system (even though the noise and friction generated as a result might give the opposite impression). This article is not entirely a serious one and I don’t propose that anyone who might be eligible to vote tomorrow take any of this as having a read-across to that far more momentous consideration. To start with, let’s look at the key discussion points that often seem to be raised by either side. 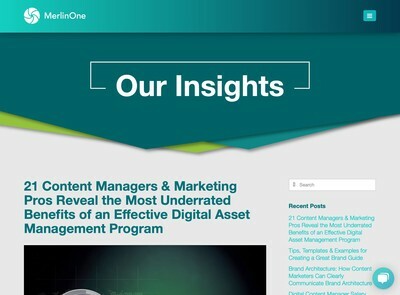 The argument advanced by the ECM “Better Together” camp is that, in essence, Digital Asset Management is just another way to describe features their solutions already offer. 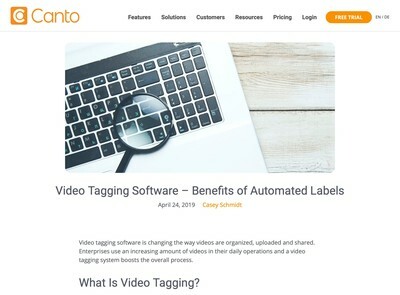 While true that DAM has more of a focus on rich media like images and video, ECM’s capabilities have substantially improved in that regard over recent times. ECM supporters suggest that efficiencies can be generated by aggregating DAM requirements into a single application to reduce complexity, save costs and enhance interoperability. Supporters of DAM independence cite the lack of focus that ECM solutions have on some of the finer points of Digital Asset Management which they need optimised to meet functional or productivity objectives – especially in relation to specialist support for the rich media asset types that they are particularly interested in. Their argument is that for ECM, DAM support it is too little, too late and consistently insufficient for their needs. A further point often made is that ECM professional services (especially customisation) are in short supply and frequently, DAM feature requests will get bypassed as not being important enough when measured against the wider needs of all the users across the business. 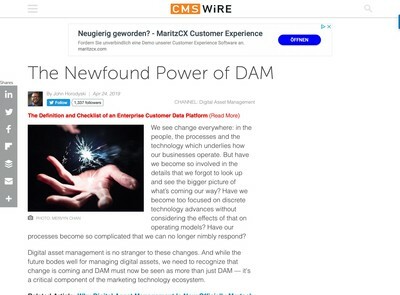 In contrast to the metaphor I have shamelessly appropriated for this article, there are some ECM solutions that once offered ‘devolved’ Digital Asset Management modules which you could implement in a more modular fashion, but many providers have now decided to rationalise the components of their offer by integrating the DAM features into the main application. Consequently, some DAM supporters who are obliged to use an ECM suite feel disenfranchised as a result. Due to some changes here at DAM News, we are currently reviewing and overhauling content, especially the list of Open Source DAM products which my predecessor has prepared. 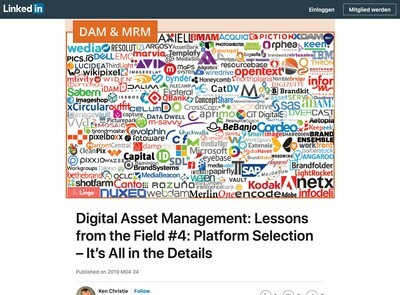 An issue with one vendor (which we have not properly covered previously) is that they lack a section on their website which is specifically about Digital Asset Management, so offering a relevant link to visitors is more difficult. Their argument is that this isn’t needed since they have DAM-like capabilities across their system. That point might be a reasonable one, but for anyone who is solely interested in DAM, not ECM in its wider sense, this makes finding the information more complex as you have to sift through a lot more detail about all kinds of other topics to find what you require. Like the argument for Scottish independence, the DAM genie is now definitively out of the bottle and users regard it as a gap in their enterprise software armoury which they need to ensure they have filled, whether that happens as an integrated application which can be used with other related tools or as a free-standing product matters less to them than that their needs are now met. Some consideration of the historical context of all this might be instructive. One important point that many ECM supporters frequently fail to acknowledge is that DAM pre-dates their own field by a number of years. Before the recent marketing-inspired upsurge in DAM, there were a number of specialist DAM applications which had a more production-oriented role or were to deal with some media-related business field like video, audio, photo libraries etc. Modern DAM solutions still use many of the metaphors and UI presentation techniques from that era (albeit usually with significant improvement in usability). In the earlier days of ECM, many new implementations chose to ignore these ‘problem’ niches as being commercially unjustifiable. In the same way that the Romans decided to build Hadrian’s Wall to ‘protect’ England from Scotland and the Normans decided that the (then independent) kingdom of Scotland was more hassle than it was worth, so a number of the prior decisions of ECM interests have engendered a schism between the two fields which will take time to heal. Some senior IT management personnel might once have regarded DAM users as a bunch of taxonomy-wielding, archivist-savages intent on wanton pillage and destruction of their carefully ordered (and budgeted) ECM civilisations, however, the aforementioned increased marketing interest has now added some weight and momentum behind their cause. The increase in demand for SaaS DAM is clear evidence of a trend towards going it alone and being willing to take responsibility for key decisions about software applications rather than leaving it all to IT. I can’t see marketing-oriented DAM solutions disappearing any time soon, in fact the direction of travel appears to be towards them growing in scale and trying to cover yet more functional bases. One aspect of the Scotland metaphor which I can’t directly come up with a way to link into the DAM vs ECM debate is the act of union in 1707 which (as I understand it) came about due to a financial crisis caused by a misguided scheme to establish an overseas territory called Caledonia (in what is now Panama). I would imagine that some ECM supporters might wish to use this to illustrate why DAM users should refrain from taking the risk of going it alone rather than working together to develop a more powerful collective solution. They might well have a reasonable point, but until there is some acknowledgement of the specific role and importance of DAM, this aspiration for separate systems will continue to grow. Queen Elizabeth II doesn’t often get a mention in DAM News, but her advice for Scottish people that they should “think very carefully about the future” might equally apply to those contemplating whether to stick with a corporate-wide ECM or invest in a separate DAM, since whatever decision is ultimately made, there will be consequences that have a far-reaching and long-lasting impact.